NOTE: This content is old - Published: Thursday, Aug 23rd, 2018. It’s a nerve wracking day for the thousands of students across Wrexham who are eagerly waiting to find out the outcome of their GCSEs. Students across Wrexham are celebrating their achievements today, with the percentage of pupils across the borough achieving A* – C grades across all subjects improved against all Wales figures. Entries for GCSEs have all fallen this year, according to statistics published by Qualifications Wales. The number of entries this summer are down by 13% falling from 334,095 in 2017 to 290,640 in 2018. 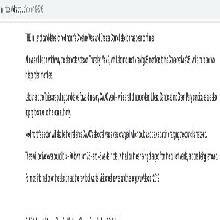 – The types of qualifications taken in post-16 education and training. Unlike schools in England, the grading system for GCSEs in Wales remains A* to G.
The Ruabon high school is one of the first in the county borough to release its results, with staff and students celebrating Key Stage 4 results which build on last year’s success. 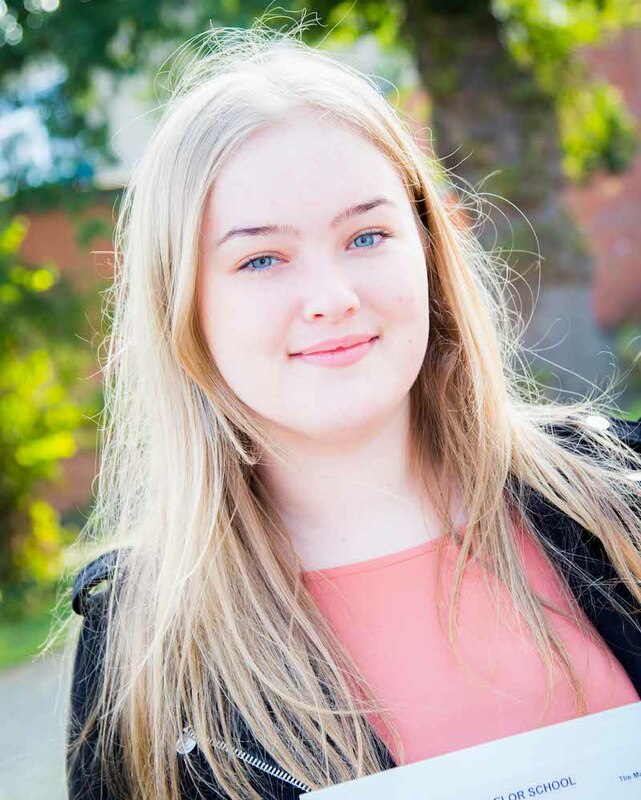 Every student leaving Ysgol Rhiwabon had a range of GCSE passes or their equivalent, with an A* – C pass rate in the core subjects English Language, Mathematics and Science . A significant number of the cohort also achieved the upper grades A* – B across their subjects with 87% of the year group achieving A* – C in the Skills Challenge Qualification. The school is proud of the achievements of this year’s students as they prepare for sixth form studies or the world of work. The results are very pleasing as they have been secured against harder examination measures, relatively new specifications and changing performance measures; for this reason alone the students should be congratulated on their success. Headteacher, Mrs Ferron-Evans said: “This is a year group which has worked very hard to secure success, attending lots of extra lessons and revision sessions and we are pleased with this set of results. There are some excellent individual performances. “I would like to take this opportunity to thank the staff, students and parents for the incredible amount of hard work and dedication shown across a wide range of studies. “The results will enable our young people to further their studies at sixth form or to enter the world of work as confident and successful individuals. Staff and students were very pleased with the results this year achieved by The Maelor School at GCSE. For the second year running more than 20% achieved 5A* and A grades at GCSE. Headteacher Simon Ellis commented: “The pupils have worked extremely hard to produce such good grades, I am proud of them all. 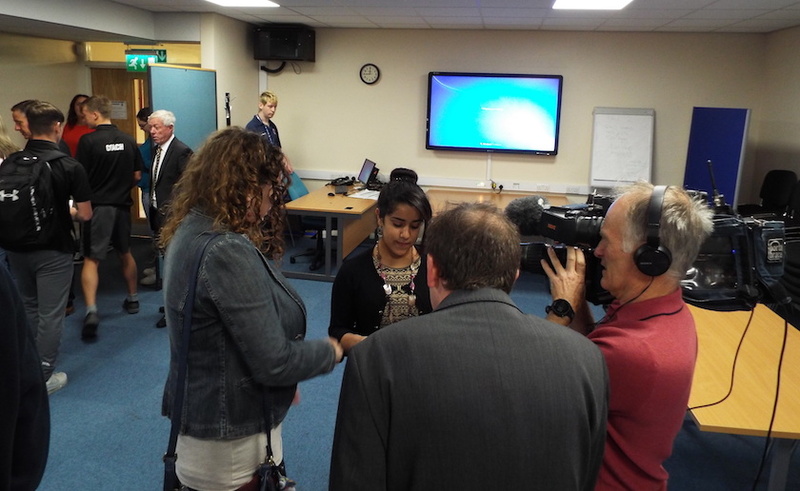 Deputy Headteacher Joanne Lee added: “I am proud of these mature young people. Some of the results are the best we have ever seen. 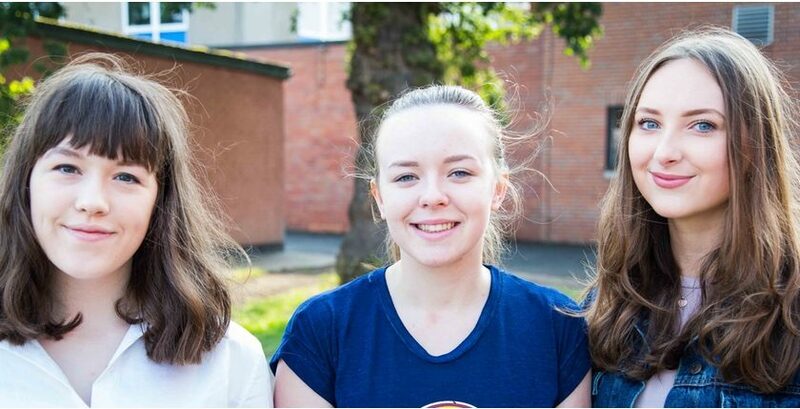 Head of Science Carrie Ferrier was thrilled with the performance with the new Science GCSE specifications: “We are delighted with how they performed, over 84% achieved an A*-C on the newer more difficult papers, 100% achieved A-C in Biology Chemistry and Physics in their separate sciences. 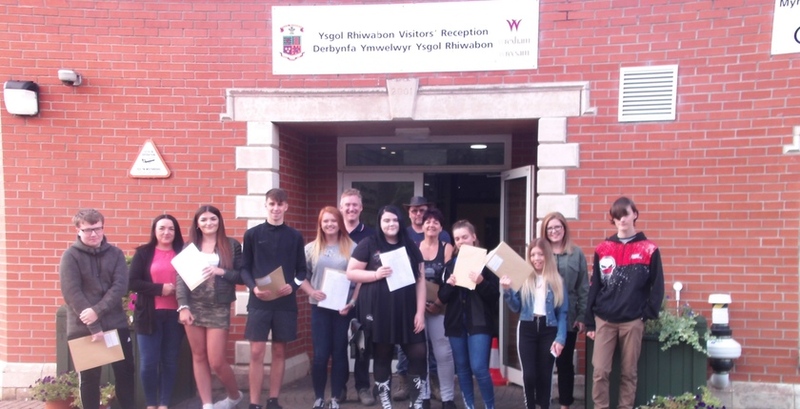 It’s a time of celebration for students and staff at Ysgol Y Grango High School in Rhosllanerchrugog with the best overall set of GCSE results in the school’s history, beating last year’s significant improvements. Strong performance has been achieved across the board and in all subject areas with continued improvements in GCSE English, GCSE Mathematics and Numeracy, and the Welsh Baccalaureate Skills Challenge Qualification. In the new core GCSE Science and GCSE Welsh qualifications students have achieved exceptional results and these were repeated in all option subjects. All students gained A*-C grades in GCSE Music, up 30 per cent compared to last year, and there was excellent performance in GCSE Art and GCSE Digital Photography with all students achieving A*-C grades. Other outstanding results were achieved in GCSE Geography, GCSE History, GCSE PE, and GCSE RE. Among the top achievers, those gaining 5 or more A*/A grades, are: Ryan Hughes, Marla Jones, Olivia Koziej, Erin Long, Alex McMeiken and Jamie Samuels. 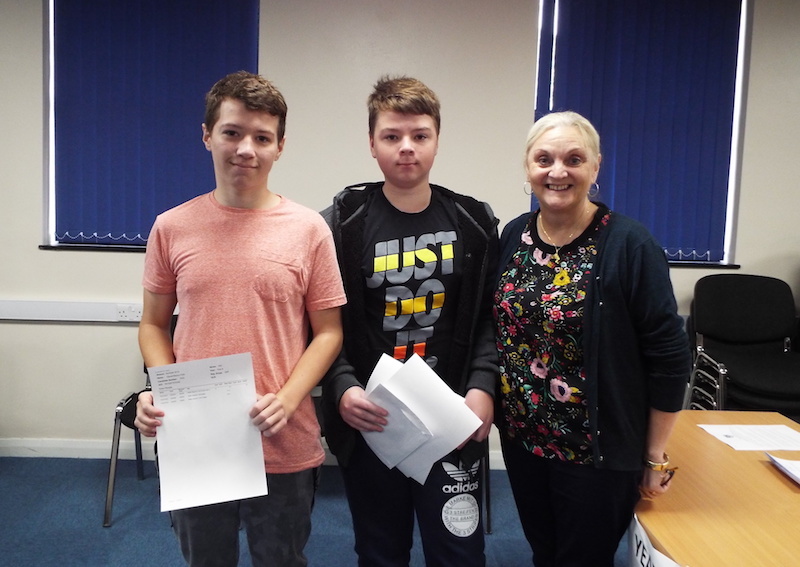 Students who attend the 14-19 college link courses at Coleg Cambria and St Christopher’s have also attained higher grades. Stephen Garthwaite, headteacher, said: “I am absolutely thrilled with this year’s GCSE results and our congratulations go out to all our students for their fantastic achievements. “This is the best set of results we’ve had as a school with even further improvements from last year’s successes, which is especially pleasing at a time of continuing change in the examinations and curriculum framework. Mr Andrew Brant, headteacher, said: “Congratulations to our Year 11 students on their success. Teachers and support staff have worked tirelessly to ensure that examination figures have improved significantly this year. “We are delighted that our results have continued to improve in both English and English Literature, following excellent teaching and rigorous exam preparation. “Our talented maths department has made a record leap of 16% from last year, giving many more youngsters the essential pass mark for colleges and sixth forms. “Our most academic students have also excelled, with the number of students achieving 5A*-A doubling since 2017. Cllr Phil Wynn, Lead Member for Education, said: “Pupils should be very pleased with these results. They have worked very hard to achieve them, and deserve to be congratulated for their efforts. Ian Roberts, Head of Education, said: “Pupils at all levels of ability have worked incredibly hard to achieve these results, and thanks are due to all schools for the work they have put in and the level at which they’ve supported pupils. Read 1,152,504 times in last 30 days, and 73,928,411 times since we started in 2011.